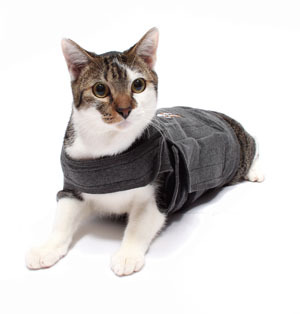 ThunderShirt's patented design applies a gentle, constant pressure that has a dramatic calming effect for most cats. 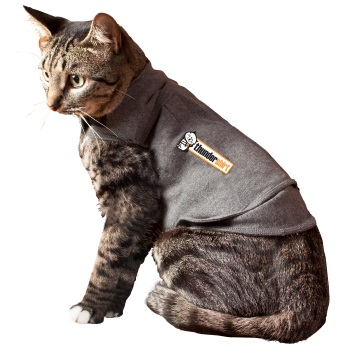 How does ThunderShirt work? Experts believe that pressure has a calming effect on the nervous system, possibly by releasing a calming hormone like endorphins. Using pressure to relieve anxiety in people and animals has been a common practice for years. 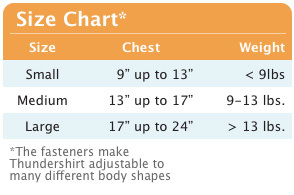 Below are several examples.